Welcome to Portland, Ralph Carney! As of last month Portland can count itself home to one the most versatile and experimental instrumentalists of our time. 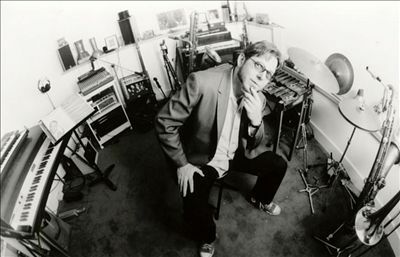 The city of Portland has recently gained the prolific multi-instrumentalist Ralph Carney to its local music scene. Until recently, Carney has been perpetuating his decades-long music career in San Francisco, California, but as of last month Portland can count itself home to one the most versatile and experimental instrumentalists of our time. Born in Akron, Ohio, Carney began his life as a key member of the band Tin Huey, an avant-garde, new wave band that sprung up during the same time Devo, Pere Ubu and the Rubber City Rebels were making strides in the Northeast. Carney was the saxophonist for Tin Huey, but it was his reputation as a multitalented musician that led Carney to record and perform with such artists and musical groups as The B-52’s, Les Claypool, Stan Ridgway, Medeski, Martin & Wood, Elvis Costello, Jonathan Richman, Dieselhed, Marc Ribot, They Might Be Giants, Yo La Tengo, Black Francis, to name just a few. One of his most prominent collaborations during the ‘80s would be his work with Tom Waits. Carney’s saxophone, pan pipes, and even some of his violin playing can be heard on Wait’s early albums Bone Machine, Rain Dogs, and Black Rider, and Carney would go on to be a member of the Orangj Symphonette with two other Waits alumni, Joe Gore and Matt Brubeck. When asked about his upcoming projects, Carney shared that he already has some musical ventures cooking in Portland. “I know a couple of guys up there,” Carney said, and mentioned no other than Portland locals Mike Coykendall and Garth Klippert. Mike Coykendall, the accomplished songwriter, producer, and multi-instrumentalist, has worked with M Ward, Blitzen Trapper, She & Him, Annalisa Tornfelt, Tin Hat Trio, and certainly many more artists over the last three decades of his musical career. 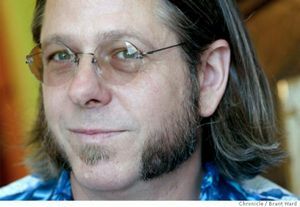 He moved to Portland in 1999 after he and his wife Jill Coykendall formed the band The Old Joe Clarks in San Francisco. His most recent album, his third solo record titled Chasing Away the Dots (released via Portland’s Fluff & Gravy Records) includes such guest musicians as M Ward, Zooey Deschanel, Eric Earley, and Ben Gibbard. Garth “Steel” Klippert, the vocalist, guitarist, keyboardist, and percussionist for the Portland-based band Old Light, is also associated with an impressive number of musical acts. He has produced music and performed often with Coykendall, and has played with musicians from The Decemberists, Blue Giants, Black Prairie, The Quails, The Golden Bears, Richmond Fontaine, Built to Spill, the Corin Tucker Band, I Can Lick Any SOB in the House, among many others. No doubt Portland music enthusiasts can expect some new, locally-brewed music in the near future.